In 1965, two landmark pieces of legislation were passed that fundamentally changed the state of Black America. Most well known of these two pieces of legislation is the Voting Rights Act, which prohibited racial discrimination in voting and, when properly enforced, ended what was almost a century of systematic disenfranchisement of African Americans in the South. The other, lesser known, piece of legislation that fundamentally altered Black America was the Hart-Celler Act. Named after Democratic Representative Emanuel Celler of New York and Philip Hart, a Democratic Senator of Michigan, the Hart-Celler Act ended the national origins quota system that anchored U.S. Immigration policy since at least 1921. Hart-Celler essentially opened the country’s borders to immigrants from Asia, Africa, the Middle East, Latin America and the Caribbean. These immigrants ultimately changed the racial makeup of the country, and simultaneously altered the American political landscape. At the same time, within Black communities the growing presence of Black immigrants from Africa and the Caribbean has deep implications for the state of Black America. In this TBS Conversation Christina Greer and Candis Smith discuss the shifting nature of Blackness in the United States. 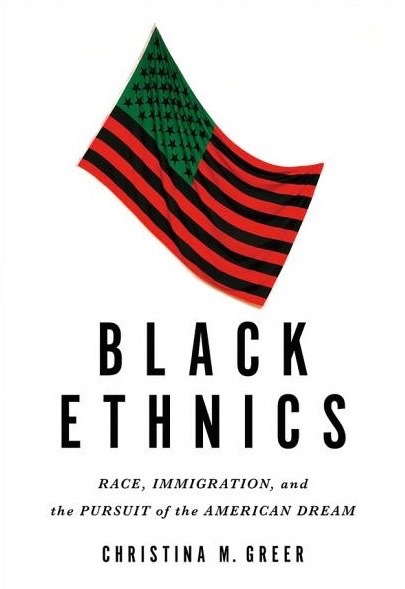 Using Greer’s Black Ethnics: Race, Immigration and the Pursuit of the American Dream (Oxford, 2013) and Smith’s Black Mosaic: the Politics of Pan-Ethnic Diversity (New York University Press, 2014) to anchor the conversation, the respective authors explore the complex terrain of Black intra-racial politics. What does it mean to be Black in the United States in 2016? How have immigration and ethnicity changed our notions of Black identity in recent times? And what implications do these changes have for Black political futures in the United States? Chryl Laird: There have been a lot of discussions about the shifting nature of Black America in scholarly circles, and in broader Black counterpublics in the United States. [i] Obviously, both of your respective works are concerned with the ways that these shifts in Black America impact the nature of Black politics. Besides the obvious matter of the growing Black immigrant population, what do you think is the context that provides the spark for these conversations to emerge within the last decade or so? Christina Greer: I remember there was this constant conversation about Colin Powell when he was being tossed around as a possible presidential nominee or a vice presidential candidate. I noticed the way people spoke about Powell as a political figure, about being a son of Jamaican immigrants, and this excellence that he possessed. He was framed in ways that I didn’t see people talk about Jesse Jackson, necessarily. Then obviously, this discourse emerges again when Barack Obama gets elected. In my book I argue, if Obama were from Detroit, and his mom was from Duluth, I don’t think that many people would see him as this stellar figure. Especially if his mom was not from Kansas, and his dad was not from Kenya. Even within the continent, there is a different way that people see Blackness and Africanness. Things may be different if he was from the Congo or if he was from Nigeria, or another country that is not necessarily seen in the same light as Kenya. So that is one way that we can look at our political figures. I was also thinking about the work of Waters, Kasinitz, Mollenkopf, and Rogers—who is the lead political scientist to kick this discourse off—and I just thought that this conversation was incomplete. [ii] We have had decades of Caribbean migration, but we have also had a solid five decades of African migration. Our work is essentially taking a snapshot in the 21st century and asking, what will it look like for people who do not have the same exit option, or for people who came here for particular financial gain or not, either as refugees or doctors? African immigrants are an incredibly diverse group of people from an incredibly diverse set of countries. Why are political scientists not looking at all three groups—Black American, Caribbean and African? The political science literature had not done that, up until our work. Some economic professors had, but for the most part, everyone was still fascinated with the relationship between Caribbeans and Black Americans. Candis Smith: Also Christina, this probably comes to your mind in a totally different way than mine because you spent a lot of time in the Northeast, whereas I was basically raised in the South. There you are either Black or you are White. And now perhaps you might be Brown [because of the fairly recent influx of Latinos to a number of Southern cities, like Durham, NC]. As oddly as this might sound, I do not remember if I was aware that there was ethnic diversity among Black people. I think the diversity among Blacks did not really hit me until I got to college. This is something that we both talk about in our books. Going to college, you get a sense of your own identity, and everyone else is working out their identity, too. At places like Tufts and Duke, you see a lot of children of Black immigrants and Black immigrants, as well. Sociology has been exploring this for decades. It is political scientists who are always a little behind on certain issues. In college, I said, “Oh, wait. We should learn more about this.” Then you learn people have been talking about this, but most of the people who have been talking about it, one, are talking about Caribbeans and two, their focus is in the Northeast, in New York City, specifically. I think there is definitely a need to broaden both the ethnicity standpoint as well as the geographical standpoint of studying ethnicity among Black folks in the US. CG: I think that is a really important point that is relevant even to the forthcoming work of scholars like, Cory Gooding or Derron Wallace. [iii] Both of them are working on interesting geographic locales of Blacks and Caribbeans, but the African piece is still missing. I agree completely with Candis. The Northeast experience is very different than the West Coast experience that Cory Gooding is examining or the London/New York experience that is the focus of Derron Wallace’s work. When I got to Tufts, I said, “Okay, so there is the Black student association, which is the Pan-African Alliance. There is the Caribbean club. There is the African club.” Then there are these ways the duality plays out, when some students are making sure people know that they are not Black American. Then there is another interesting identity question when you realize that even certain Black people that you just see as Black see you as something different and possibly even something lesser. Bringing it back to the scholarship, both of us obviously lean heavily on Michael Dawson. He talks about African Americans but offers no definition of who he is referring to. [iv] There is a very large immigrant population, historically and present day, in Chicago, which is the center of his locale. CL: This is a good point. It’s interesting, because you both are bringing up the university experience. That actually was my second question, but I want to give you space here to elaborate even further. Both of your books start with this collegiate experience. What is it about the university space in particular that makes evident the intra-racial diversity of Black America? I recently read Ta-Nehisi Coates’ book, Between the World and Me, where he calls Howard University “the Mecca.”[v] It was a place of intra-racial diversity that Coates never experienced before. What is it about the university space, do you think, that really does that for people? CG: First, the college setting is a defined and contained space. Secondly, undergraduate students are at the moment in their life when these questions about identity are becoming really poignant and clear. Going to a school in Boston, a city that is oftentimes inaccurately labeled, as the most racist city—and I say inaccurately because I think all cities are racist—you have a Black versus White dichotomy. On campus your professors are going to make assumptions about Black students. In addition, certain students are able to use their ethnic background—which often translates to a different class background—in ways that can alter their Black status and make them everything but last place. Lani Guinier writes about it in The Tyranny of the Meritocracy. [vi] She argues that it’s not that Caribbeans and Africans are stellar students or that they excel better than Black American students, although they are disproportionately represented in, say, the top 25 schools. But, in fact, Black American students are doing just fine in the college setting. Instead, as I point out in the book, we have to pay attention to immigrant selection. When you look at Black Americans, we have A through Z. We have the entire spectrum. When it comes to Caribbeans and Africans, you have select populations that have social networks, financial means, and political connections. They represent only a small subset of the entire group. Then that group becomes, as I argue, an “elevated minority.” They will never be model minorities like Asians, but they become an elevated minority held up against the stereotypical, non-hard-working Black person, in a college setting or elsewhere. I think it is an unfair assessment. We are comparing small groups of people who have come here for various reasons; some are incredibly wealthy, some are refugees, and some are somewhere in between, with 10th-generation Black folks who are trying to make it. CL: I want to follow-up with you Christina, because you brought up the concept that you talk about in the book, “elevated minority status.” Your book, Black Ethnics is built on this idea, which seems to pivot around class and social mobility. Can you explain the concept to us and give us a sense of how class may have impacted or factored into the different conclusions you draw about Black American, African and Afro-Caribbean workers and unions? Are their differences about ideas of work, discrimination, and opportunity actually rooted in points of national/regional origin or is it class that is shaping their respective outlooks? CG: When defining the elevated minority, I argue that even though Caribbeans and Africans are seen—and possibly see themselves—as a notch above Black Americans, who are perceived to be in last place, Caribbeans and Africans in the U.S. will still never be model minorities. There still exists this dynamic where everyone is trying not to be in the Black category, including Black immigrants. I used the union in my research as a space that controls for class. I did not want to compare cab drivers, doctors, hair braiders, nannies, and tax accountants. I wanted everyone to essentially have the same job. I hypothesized that Africans would be the most excited to be here, Caribbeans would be in the middle with a “win-some-lose-some” outlook, and then Black Americans would be the least invested in this concept of the American dream. The class piece is important because everyone, in my study, was controlled for class. Everyone is highly educated, but they have disparate opinions on how they are treated, and also how they see themselves moving through the American system. CS: My notion of “diasporic consciousness,” incorporates what Chrissy is talking about. On the one hand, Black folks from all sorts of places recognize that there are intra-racial and ethnic differences among Black people, and their political interests—their concerns that correspond to that particular identity—may be in conflict with someone else in the same racial group but in a different ethnic group. At the same time, you also recognize that within a racialized social system, people see you as Black, and that means something. On the other hand, I think that some Black immigrants may be considered to be an elevated minority, but this elevated status is still constrained. You are not going to somehow be un-Black. If you are a Black African or a dark-skinned person from the Caribbean, you cannot work your way out of Blackness. Diasporic consciousness is really just about keeping those two ideas in mind. Its an attempt to encompass the intra-racial differences that have emerged, that may give way to potential conflict. While also recognizing that, even with this intra-racial difference, race and racism still situates people in the same boat. And as a result, how do the different groups behave politically and think politically while balancing these complexities. CL: That makes sense. And what about the second part of the question, regarding the differences between “diaspora consciousness” and Black consciousness? CS: I am trying to make a concerted effort to think about the multiplicity of identities that we hold at the same time. Those identities do not always play nice with one another. Sometimes they play well with each other and the interests are similar, and so we think we should do similar things within the political realm. Sometimes they diverge. What happens when, for example, you have #BlackLivesMatter? It does not matter if you’re Amadou Diallo or if you’re Trayvon Martin or if you’re Eric Garner. You’re gone, because you are in a Black body. On the other hand, we might think about immigration, and African Americans might be pretty ambivalent about immigration. What does immigration mean for African Americans economically, versus someone who is a first or second-generation Black immigrant? It means something totally different. That could be a point of intra-racial conflict. “Diasporic consciousness” is an effort to capture the complexity of ideas and interests that Black people have nowadays. CL: You are both talking a lot about conflict and coalition, points of tension and solidarity, across the Black populations within the US. Can you talk more about, how African and Caribbean immigrants have altered the nature of Black politics and Black political behavior? Because for example, someone like Adolph Reed may argue that there have always been these political points of conflict and coalition, tension and solidarity within Black American populations. [viii] Do you think there is something uniquely different in the Black politic in the US as a result of Black immigrant populations being present? CS: Right. There is a particular context where her being the children of Black immigrants means something in our contemporary moment. Maybe 10 years ago or at some other point in time, it would not have meant much. I think there is something to be said about the moment in time and the extent to which having a particular ethnicity is meaningful. In other words, contexts influence the way Black politics in particular goes. 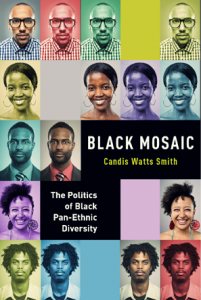 I think Candis’ point is valid in the sense that when you think about the leadership of Black America, primarily male, from previous decades, many were Caribbean, but it was not advantageous to have that as your primary identity. Stokely Carmichael’s not necessarily talking about being Caribbean. Neither were Harry Belafonte, Shirley Chisholm or Sidney Poitier. When you think about these people who were the voices and the consciousness of Black America, they were immigrants. At the time, it was unnecessary to talk about immigrant identity, because the numbers were smaller. I think we can start these intellectual conversations about the intersections of race and ethnicity. Hopefully we are strong enough to have these conversations without them becoming divisive. CL: With the last question I want to put both of your work within the contemporary context of race and class politics within this country. As you both know, there are very popular struggles on both the labor and racial fronts. There is the Fight for $15 and a union among striking fast food and low-wage workers, and there is also the #BlackLivesMatter movement against state violence and police brutality. And recently, groups like the Black Youth Project 100 (BYP100) in Chicago, the Organization for Black Struggle (OBS) in St. Louis have connected the two fights, arguing that racial justice and economic justice are actually inseparable. Based on your work, how do you see these movements impacting or shaping Black identities in the United States, intra-racial politics, and Black political futures more broadly? CG: Candis touched on this earlier. I use older names, but I have a small footnote in the book that says, when we think about Abner Louima, and Amadou Diallo, and Rodney King—the three most well known victims of police brutality from the ’90s—police did not stop and say, “Where’s your dad from? Just to make sure before I shoot you.” In those instances, it does not matter what your ethnic background is or where you are from. I think what we have seen is that cops do not care. Your Ghanaian exceptionalism or your Jamaican immigration status cannot protect you against a white-supremacist society. Though some believe their immigrant status could make them separate from Black Americans or different, and more special, and less susceptible. I think people are finding such beliefs do not really play out when tested. I’m hoping that these movements can actually draw in all Blacks in America, because your voluntary immigrant status cannot shield you from the fact that we’re in a moment right now where Black bodies are under attack. CS: A couple of things. First, I totally agree with the point Chrissy is making. One of the reasons why I wanted to write this book was to interrogate this idea among Black immigrants and their children, that issues around racism and social (im)mobility stem from culture or hard work. What we see emerge eventually is recognition that there is a racist system at work. If you are a person who recently arrived in the US, it doesn’t take you very long to recognize that there are severe structural constraints on your opportunities. That fact says something about the society. To the question about labor and race, I think we need a little bit more data. And I’m saying that as I keep in mind some of things that I hear middle-class Black people saying, like, “Oh, well, why do you work at McDonald’s?” Yet at the same time, I think there are some instances when the class divide means almost nothing, like in the face of police brutality. I’d be interested to know more about if there are more class divisions now on economic issues than before. I don’t know. CL: Thank you both for talking with us. It was really insightful. You both are doing important work. [i] Mary C. Waters. Black Identities: West Indian Immigrant Dreams and American Realities. Cambridge: Harvard University Press, 2001; Reuel R. Rogers, Afro-Caribbean Immigrants and the Politics of Incorporation. Cambridge: Cambridge University Press, 2006; John Arthur. Invisible Sojourners: African Immigrant Diaspora in the United States. Westport: Praeger Publishers, 2000; Yoku Shaw-Taylor and Steven A Tuch (eds). The Other African Americans: Contemporary African and Caribbean Immigrants in the United States. Lanhamn: Rowman & Littlefield Publishers, Inc, 2007; Isidore Okpewho and Nkiru Nzegwu (eds). The New African Diaspora. Bloomington: Indiana University Press, 2009; Eugene Robinson. Disintegration: The Splintering of Black America. New York: Random House, 2010; Ytasha Womack. Post Black: How A New Generation is Redefining African American Identity. Chicago: Chicago Review Press, 2010; Touré. Who’s Afraid of Post-Blackness? : What It Means to Be Black Now. New York: Free Press, 2011. [ii] Waters, 2001; Philip Kasinitz. Caribbean New York: Black Immigrants and the Politics of Race. Ithaca: Cornell University Press, 1992; Rogers, 2006; John Mollenkopf. Dual City: Restructuring New York. New York: Russell Sage Foundation, 1991; John Mollenkopf. “Urban Political Conflicts and Alliances: New York and Los Angeles Compared.” In Handbook of Immigration: The American Experience, edited by Charles Hirschman, Phillip Kasinitz, and Josh Dewind. New York: Russell Sage Foundation, 1999. [iii] Cory Gooding is Postdoctoral Fellow at Bowdoin College, who earned his PhD in Political Science at UCLA. Derron Wallace is an Assistant Professor of Education and Sociology at Brandeis University. Both scholars are working on monographs that explore race, ethnicity and intra-racial politics in major metropolitan cities. [iv] Michael Dawson. Behind the Mule: Race and Class in African-American Politics. Princeton: Princeton University Press, 1994. [v] Ta-Nehisi Coates, Between the World and Me. New York: Spiegel & Grau, 2015. [vi] Lani Guinier. The Tyranny of the Meritocracy: Democratizing Higher Education in America. Boston: Beacon Press, 2015. [viii] Adolph Reed, Jr. Class Notes: Posing As Politics and Other Thoughts on the American Scene. New York: The New Press, 2000; Adolph Reed, Jr. Stirrings in the Jug: Black Politics in the Post-Segregation Era. Minneapolis: University of Minnesota Press, 1999. [ix] Mia Love is the U.S. Representative for Utah’s fourth congressional district. Born to Haitian parents in Brooklyn New York, she is the first Black female Republican in Congress. 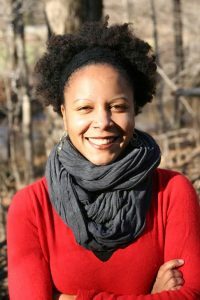 Christina Greer is an Associate Professor of Political Science at Fordham University. Her research and teaching focus on American politics, black ethnic politics, quantitative methods, New York City and State politics, campaigns, elections, and public opinion. She is currently conducting research on the history of African Americans who have run for the executive office in the U.S. Dr. Greer received her BA from Tufts University and her PhD in Political Science from Columbia University. 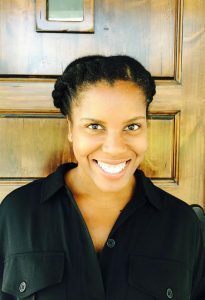 Chryl Laird, Assistant Professor of Political Science and African American Studies at Saint Louis University, specializes in American politics, race and ethnic politics, political psychology, and experimental and survey methodology. She received her Ph.D. in Political Science from The Ohio State University. 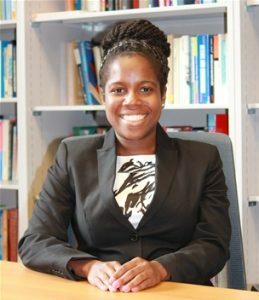 Her research was awarded the Midwest Political Science Association’s Lucius Barker Best Paper Award for Investigating Race and Politics (2011) and the American Political Science Association’s Best Paper Award in the Race and Ethnic Politics section (2014). 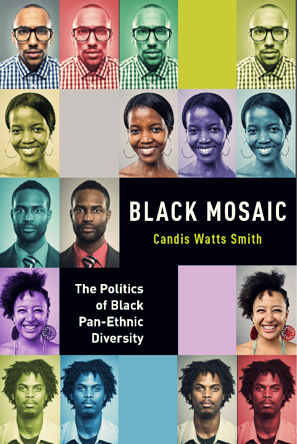 Candis Watts Smith is Assistant Professor of Public Policy at the University of North Carolina at Chapel Hill. She received her PhD from Duke University. Her research interests focuses on American political behavior and Racial and Ethnic Politics. Utilizing both qualitative and quantitative methods to answer research questions, her work has appeared in journals like the Annual Review of Political Science, The Journal of Black Studies, and Politics, Groups & Identities.